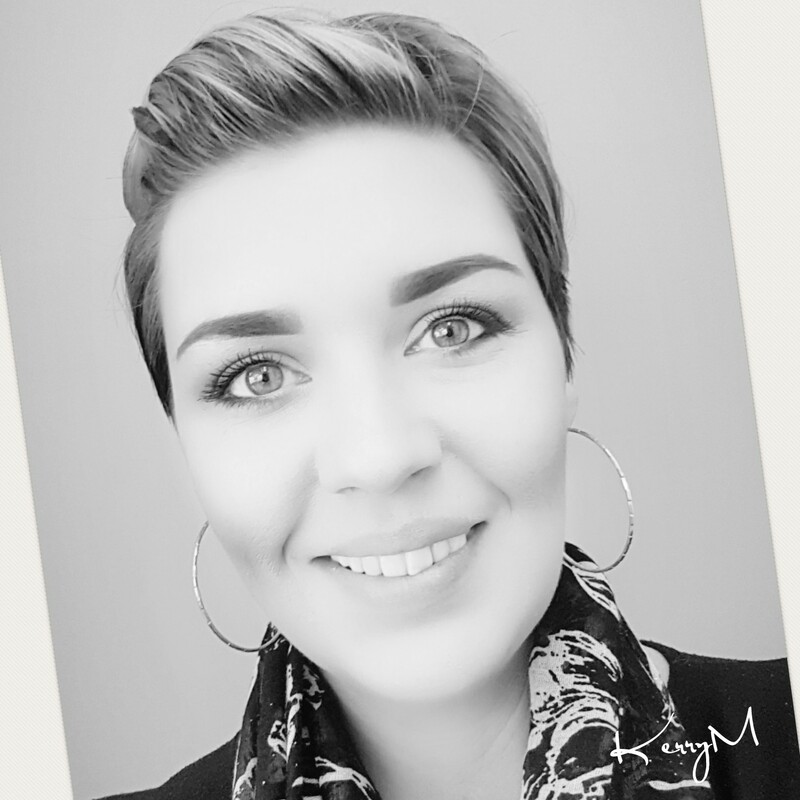 Hey Gorgeous, I'm Kerry Mears, founder of KerryM Lash & Brow Bar, I strive on being the best in the field of what I do! I have so much passion to create the most beautiful Brows and Lashes for all my amazing clients! I love the look when clients see their lashes or brows, it gives me such an amazing feeling to know that I've not only given you the treatment you want! but the feelings that your so looking for! To feel AMAZING, BEAUTIFUL and CONFIDENT! I know what that truely feels like and this is why I do what I do! To book a treatment simply click on a category below and then select a treatment, it's super easy babe. So cannot wait to see you! If you've not had a patch test before with KerryM please book a patch test appointment first, we can then book your appointment on this day of the treatment. I only offer waxing for the brows. This treatment I will wax, trim and shape the brows. If you've not had a patch test please book this in first for the tint, on the day of your patch test will book you in for the treatment it's self. This treatment is also called HD Brows although I do not use HD Branded products. You'll recieve a Brow shape using wax, triming and threading if needed as well as a brow tint. On this day I'll be making a small scratch behind your ear and placing ink over the top, this needs to be left on for 48hrs before I can do the treatment. Plus you'll be able to ask me as many questions as you like..
Before I can give you a lash or brow tint I need to make sure that your ok with the tint babe. I know this is a big pain in the arse coming in twice but your safety is far more important to me! We wouldn't want any nasty reactions happening specially on your eyes or brows! Classic Lashes is placing 1 fake lash to 1 natural lash. This looks like a mascaraed look, this will not give you more lashes then you currently have so will not give you a fullness effect, if this is what you are looking for I recommend my Russian Volume Lashes. Half a set is either a gorgeous corner winked look or half of the lashes scattered over the entire lash line. This looks more mascaraed then a full volume look, if your looking for this I'lld recommend my Russian Volume Lashes. Russian Lashes is placing UP TO 6 very light weight fanned out lashes on to 1 of your natural lashes giving you a very light weight volumed look to a very dramatic full look. You can decide on the day after a small consultation and going through pictures and assessing your natural lash strength to how many lashes you can take on your own natural lashes. Half a set is placing the lashes either in the corners creating a winged cat eye effect or scattered throughout the lash line. This is for a 60 minute infill for either Classic or Russian Volume Lashes. If you've had your lashes done with a different Lash Technician I would love to help you hun, please book a Full Set of Lashes either Classics or Russian and I will remove your current lashes for FREE as long as they come off within 15 minutes. This is for a 45 minute infill for either Classic or Russian Volume Lashes. This is for a 30 minute infill for either Classic or Russian Volume Lashes. If you haven't had a patch test from KerryM please do book a brow/lash patch test. I know this is a pain in the arse babe but your safety is far more important to me! If you've not had a patch test at KerryM please book this in first, I know it's a pain babe but your safety is far more important!.. Say goodbye to thoughs straight lashes and hello to lifted and dark lashes, wake up with lashes to die for and you can even chuck away the mascara! Microblading a Semi Permanent Brow Tattoo! It's the big craze right now and I can understand why! To wake up every morning knowing I don't have to mess around with brow pencil or gels or powders! and know that my brows are perfect! And it can last up to 18 months!!!! Microblading Touch up - 4 -6 Weeks after your Initial Procedure. This is for Existing Clients Only! Ok so it's been 6 months since your Microblading Procedure and you've lost some pigment or even some hair strokes! If you've had your Microblading done else where please contact me first before booking this treatment in. Ok so it's been 12 months since your Microblading Procedure and you've lost some pigment or even some hair strokes! You'll receive a mini manicure and a gorgeous shinny gel polish colour. If you already have gel polish on please select the add on to have a removal done. You'll receive a mini pedicure and a gorgeous shinny gel polish colour. If you would like a french polish or metallic click the add on options. A full set of sculpted acrylic nails which includes nail polish. A full set of sculpted Ombre acrylic nails. A full set of sculpted french acrylic nails. A full set of sculpted metallic acrylic nails. Receive a fresh new set of acrylic nails. *Please note we do not infill other technicians work, you will require a removal first. If you've had your nails done within a Chinese nail shop please select the add on to allow for extra time. Sadly the acrylic and products used within a Chinese shop are much stronger and therefor we need extra time to do a full removal. Alternatively you can remove them your self or get them removed where you had your nails done and book for your nail treatment with us. This is a rolling monthly contract, you'll be charged today of £85 and then the first payment will come out a month later until you cancel. You can cancel at any time but must give 1 months notice. If you don't use all your appointments within the month they will be lost and a brand new month will begin. This is a rolling monthly contract, you'll be charged today of £70 and then the first payment will come out a month later until you cancel. This is a rolling monthly contract, you'll be charged today of £40 and then the first payment will come out a month later until you cancel. Treat your Mum with the most amazing gift ever! The perfect set of Gorgeous and Natural looking Brow ever! *Lots of laughs and fun! This Gift Voucher is valid for 56 days from the day it's purchased. The perfect set of Gorgeous Full and Fluffy looking lashes ever! 24k Gold Collagen Face / Eye Mask: Anti Wrinkle, Dark Circles and uneven skin tone, lifts and firms, moisturizes and re hydrates, pH balancing. Lifts and firms Anti-inflammatory and soothing Powerful patch - reduces dark circles under the eye Rejuvenates skin - preventing and refining ageing Anti-wrinkle mask which help to smooth out the wrinkles Enriched with natural moisturiser Refresh fatigued skin Re-hydrates the skin Increase your skins natural collagen production Activates cellular regeneration Conditions your skin Helps to improve your skin's elasticity Intensive treatment; reduces fine lines and wrinkles by lifting and nourishing the skin Leaves your skin silky smooth and feeling firmer pH balancing Skin tone and dark spot reduction. Crystal Collagen Lip Mask is an enriched collagen fortified mask. It deeply hydrates, tones and refines Lips. Improves elasticity and firmness around lip area.